Apple founder and former CEO Steve Jobs. This story was updated at 1:30 p.m. ET. NASA officials, scientists and experts among the commercial space industry are taking moments to honor the memory of Steve Jobs today (Oct. 6) following news of the Apple founder's death last night. At NASA's Ames Research Center in Moffet Field, Calif., the U.S. space agency's supercomputing base near Silicon Valley, Jobs' death hit home. "We'll miss the innovation you brought to technology," Ames officials wrote in a Twitter message. "RIP Steve Jobs." The news of Jobs' death at age 56 following a long battle with pancreatic cancer was announced late Wednesday by Apple, which posted a statement on its website. Jobs has been credited as the driving force behind many of Apple's game-changing products, including the iPhone. NASA astronauts have carried Apple's iPods on space shuttle missions to the International Space Station to carry personal music. The first iPhones in space launched in July on NASA's last space shuttle mission. "Your innovative vision inspired a world beyond its limits," Kepler scientists wrote on Twitter. "You will be profoundly missed. Thank you Steve Jobs. RIP." Outside NASA, the death of Steve Jobs resonated just as it did across Silicon Valley and the world over. Alan Stern, a planetary scientist at the Southwest Research Institute in Boulder, Colo., who serves as principal investigator for NASA's New Horizons spacecraft bound for Pluto, said the impact of Jobs' contribution to modern technology cannot be overstated. "Salute to a brilliant man who changed the world for the better, a true leader," Stern wrote in a Twitter message. Elon Musk, the millionaire founder and CEO of the private spaceflight company Space Exploration Technologies (SpaceX), said today that Jobs was one of his heroes, according to a SpaceX Twitter update. "He must have affected, directly, the lives of over a billion people, and made the world a better place for them," Musk said. Musk made his fortune as the co-founder of the Internet payment service PayPal before founding SpaceX in 2002. Private spaceflight entrepreneur Dave Masten, founder of Masten Space Systems in Mojave, Calif., said his professional life began with the computers that Jobs and Apple pioneered. Masten's firm is building reusable commercial rockets and has a contract with NASA for suborbital unmanned spaceflights. "My first code was for the Apple II," Masten wrote on Twitter. "I might have something in my eye. Goodbye Steve Jobs." 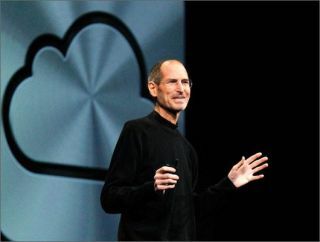 Apple has invited people to share their thoughts, memories and condolences by writing to rememberingsteve@apple.com.